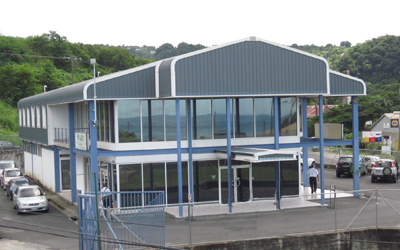 Canefield Airport, the building is located at the apex of two major highways into Roseau. First Floor available as one, two or three separate units, ranging from 1,500 to 5,000 sqft. A convenient edge of town location close to Canefield Airport.